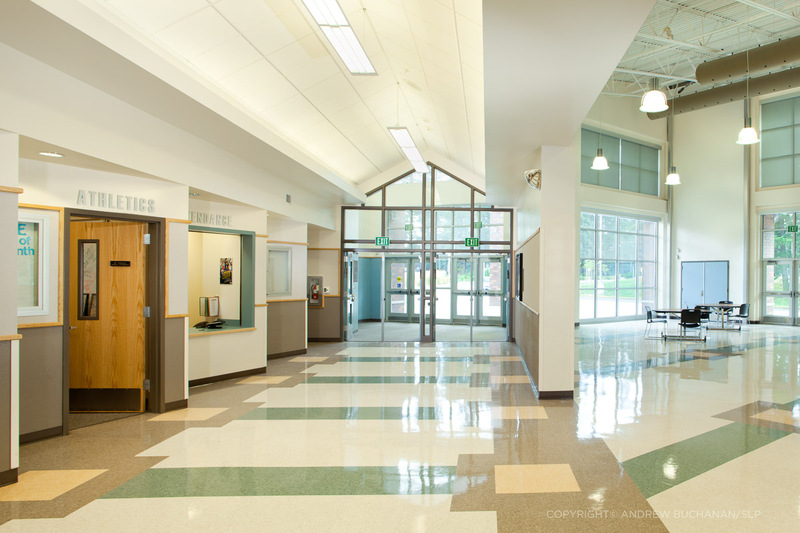 Over the past five or so years, I’ve quietly amassed quite a portfolio of images of schools and education buildings. 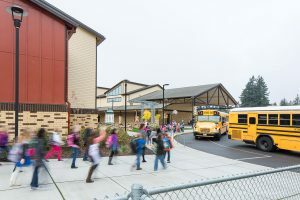 I’m sure this has been fueled, in part, by our population boom here in Western Washington that’s caused a huge wave of schools construction to seat ever-growing populations of students. 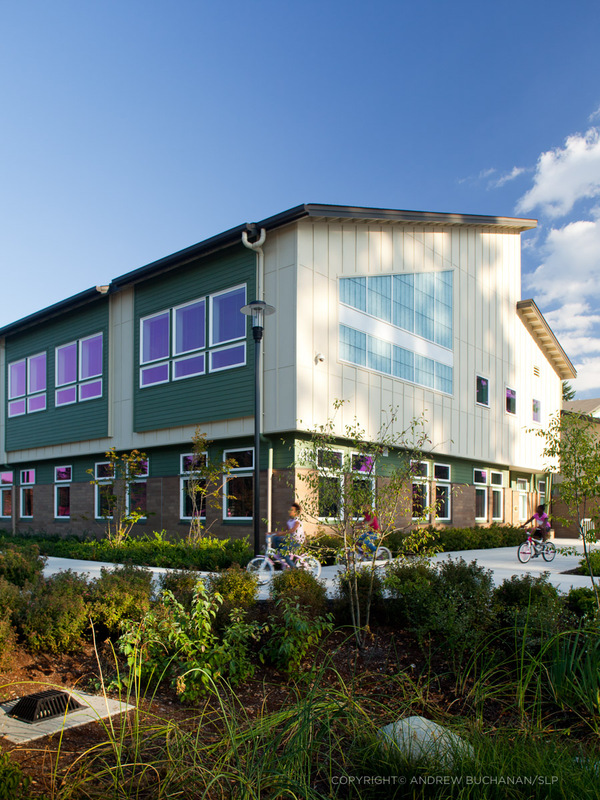 For instance, Seattle Public Schools’ enrollment has grown by almost 25% since my oldest child began kindergarten in the 2005-06 school year. 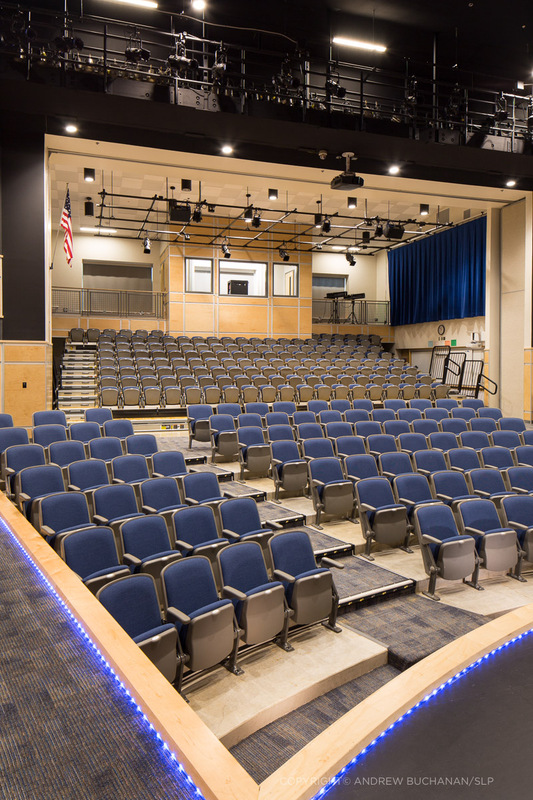 That’s an extra 12,000 bodies in seats, just in Seattle alone, in only 14 years. 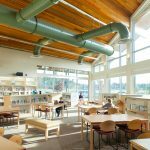 But I’ve also had the very good fortune to develop relationships with some client firms whose specialty is schools and education design. 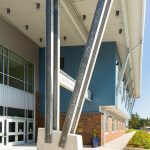 Erickson-McGovern Architects in Tacoma, WA is one such firm and I’ve shot at least nine projects for them in the past few years. 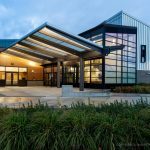 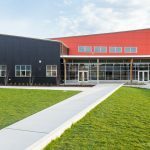 The logistics of photographing schools are a little different from other types of designed and built architecture or construction projects. 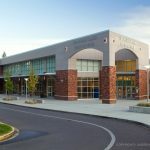 First of all, by the time school districts start building they’re usually bursting at the seams meaning any newly completed buildings are typically occupied right away, sometimes even before construction is finished, with no closing, leasing, or move-in period that’s more typical in residential or commercial construction. 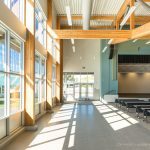 Not only does this mean the photography needs to work around building occupancy, but also that wear-and-tear starts immediately and can start showing up quickly. 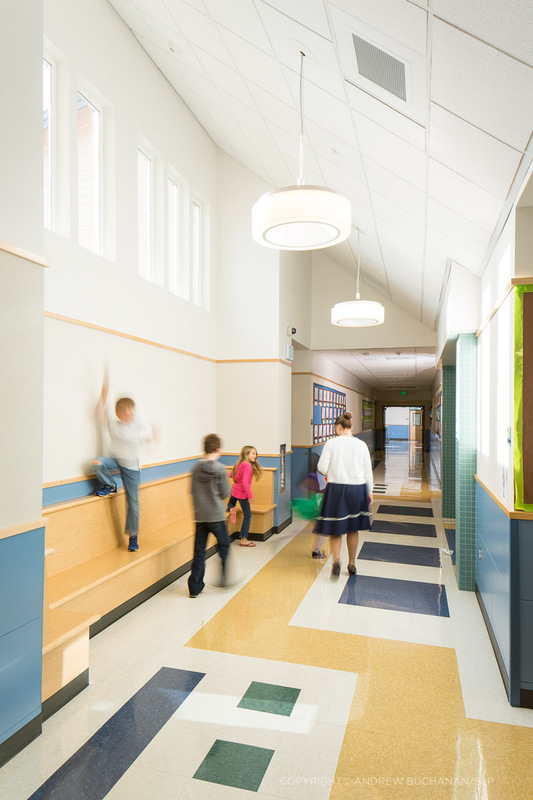 No time to waste, get it photographed ASAP! 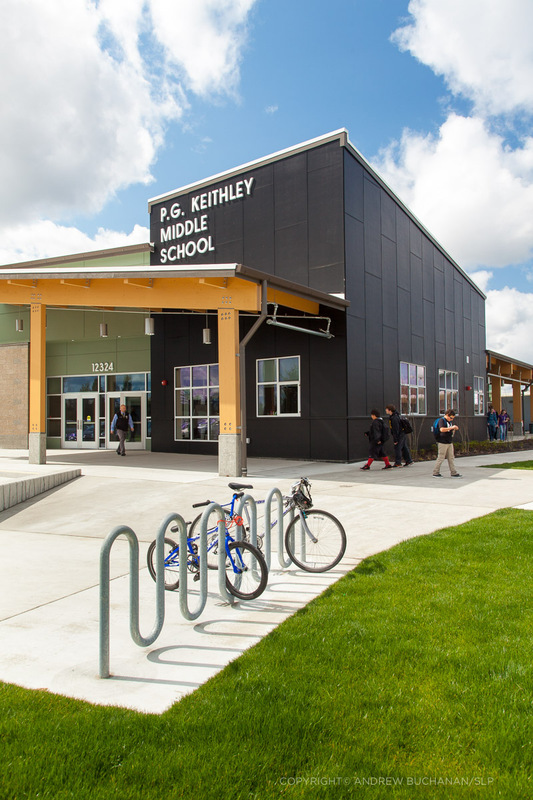 Second, once occupied these projects are full of users (the kids) whose privacy needs to be respected by law. 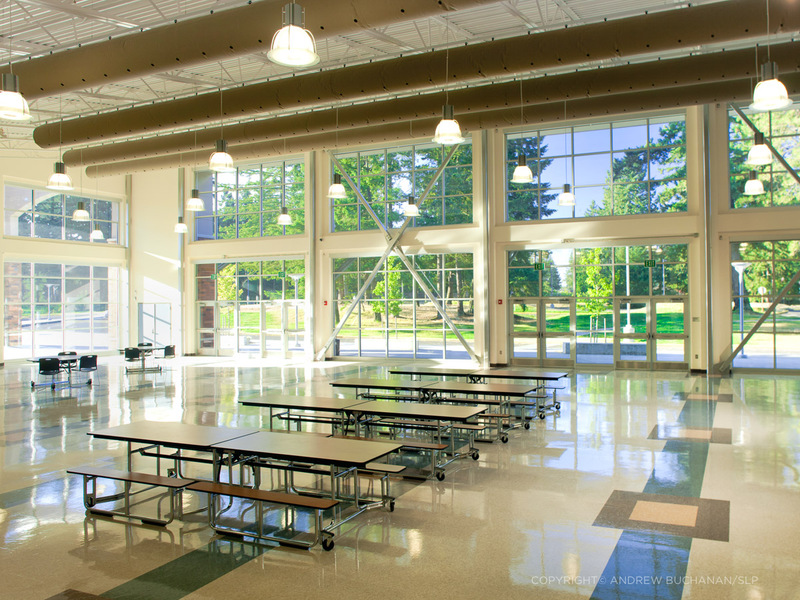 What this means for photography is that school buildings usually need to be shot during off-hours after school or on weekends, that occupants need to be left out of photos, that kids need to be blurred out or made unrecognizable in other ways, or that minors need to be included only with prior permission from their parents. 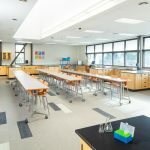 Some schools collect blanket photo / video release forms at the start of every year but their relevance for images being used by a firm other than the school district has been questioned. 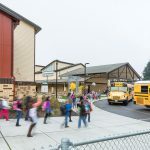 For everyone’s safety and privacy compliance, it’s probably best to include recognizable kids in your images only with explicit, written permission. 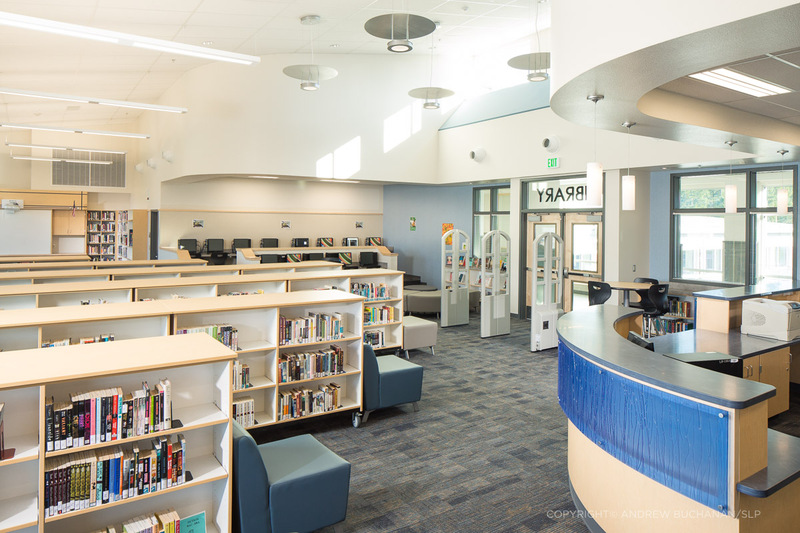 And as a rule of thumb, whenever possible photographs should always be made that both include and exclude people. 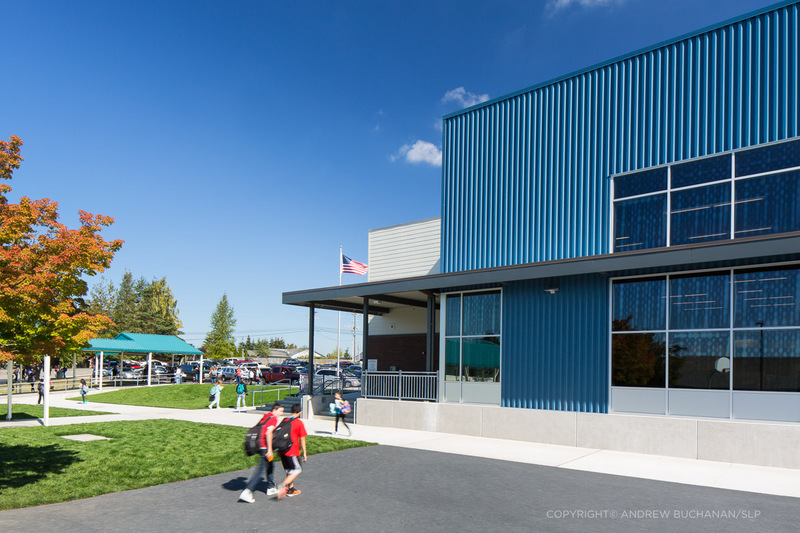 I once photographed a building and included a certain child with his parents’ permission, as part of a small group. 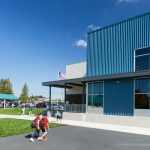 Those adults later went through an acrimonious split and one parent (I never learned which one) tried to use their child’s inclusion in the photos as fodder against the other. 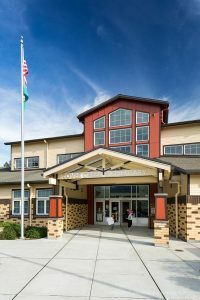 Because I had identical images both with and without this child, it was simple enough to supply a version without the child in question and just remove myself, and my client, from the ugly situation. 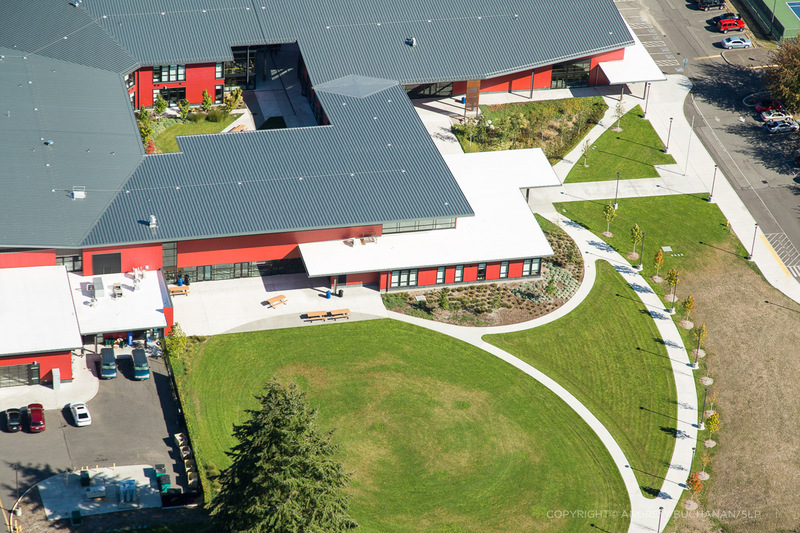 Planning ahead for issues of privacy is always a good idea. 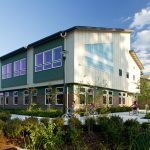 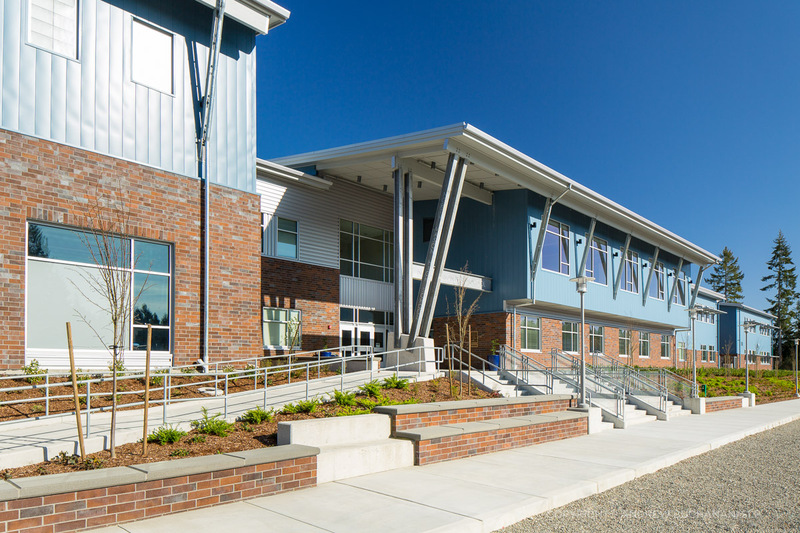 Finally, schools are often designed to be useful and functional, affordable, and safe and secure. 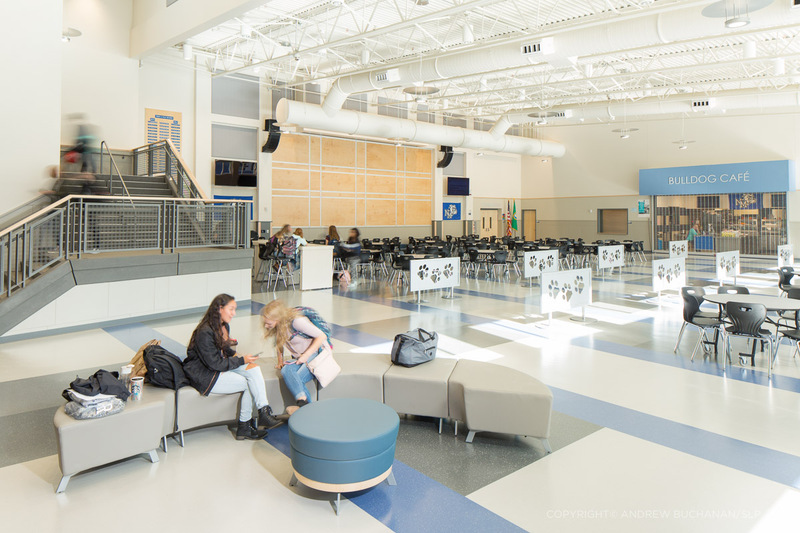 Somewhere pretty far down the spec list of design considerations is “luxurious finishes.” School districts spend the public’s money and are on notoriously tight-fisted budgets. One of my clients used to claim they’d gotten their average cost per square foot for schools to roughly $100-110/s.f. 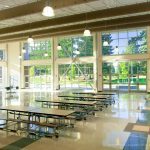 Bottom line is schools are usually designed to be durable, safe, and functional, not necessarily pretty. 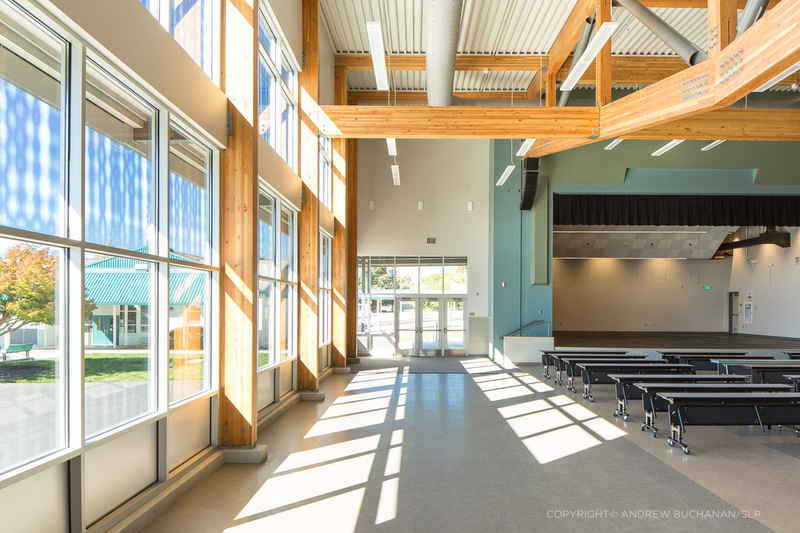 Treat the process of making great images that highlight the design, use, and context of the project, while minimizing emphasis on somewhat utilitarian finishes, as a fun challenge. 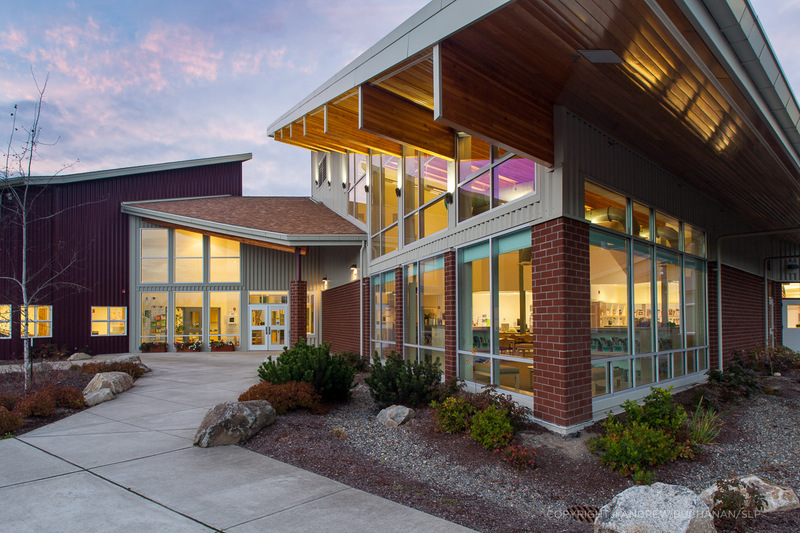 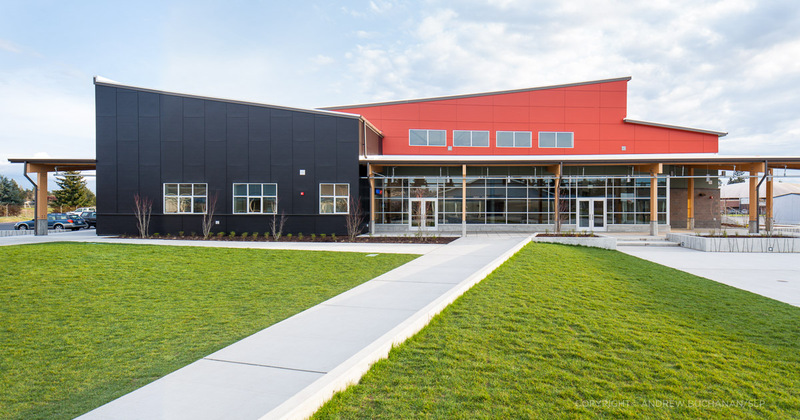 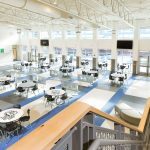 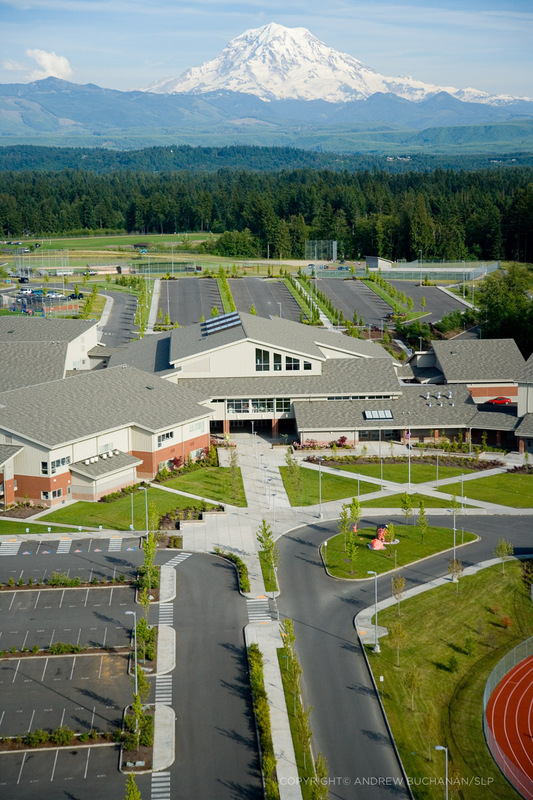 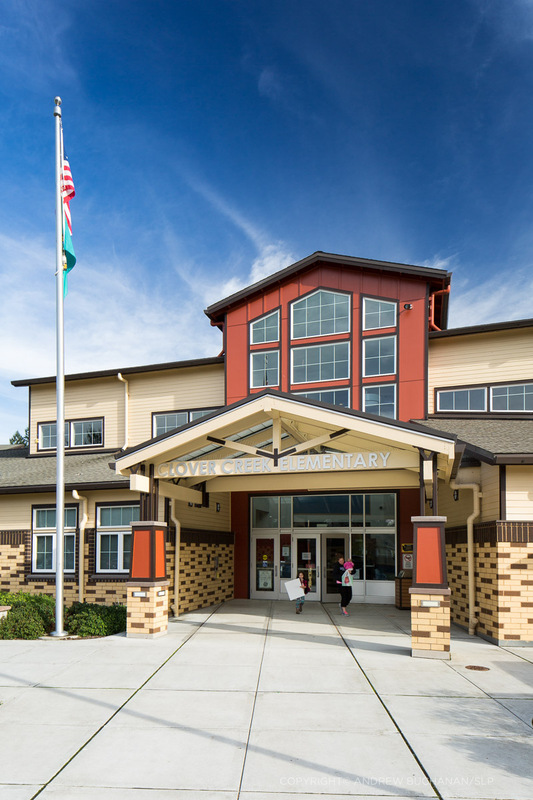 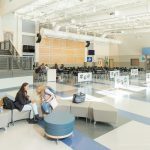 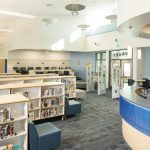 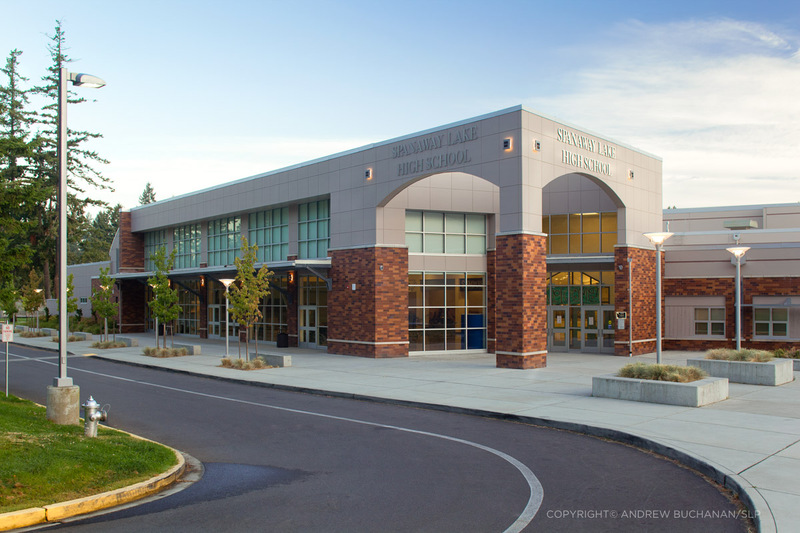 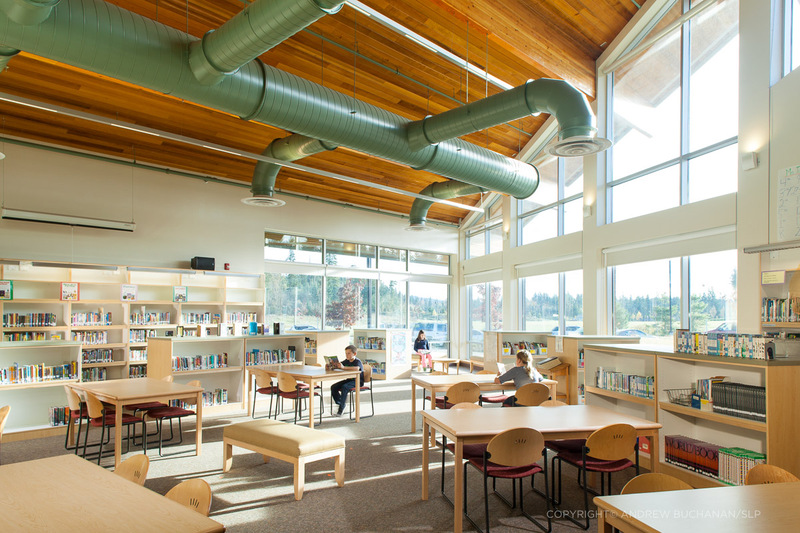 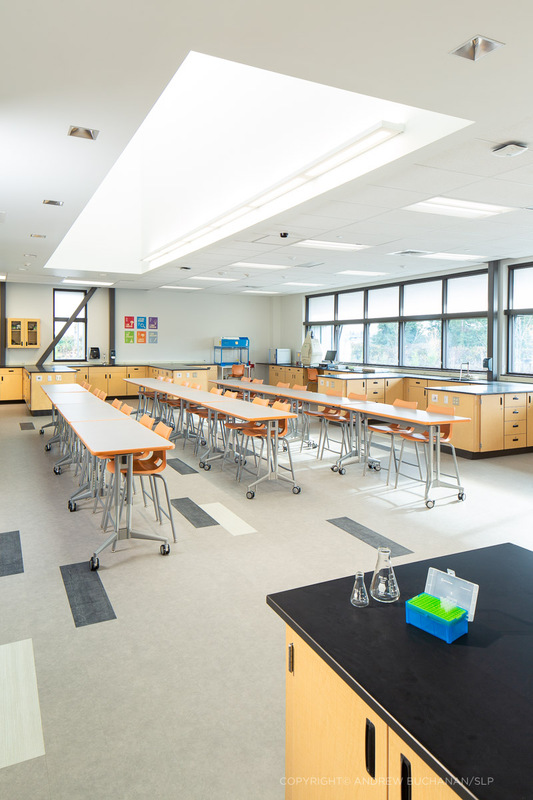 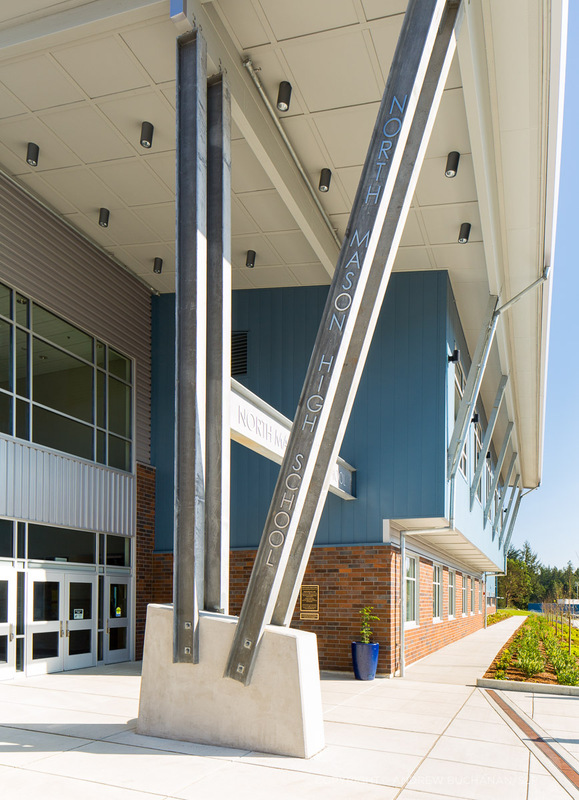 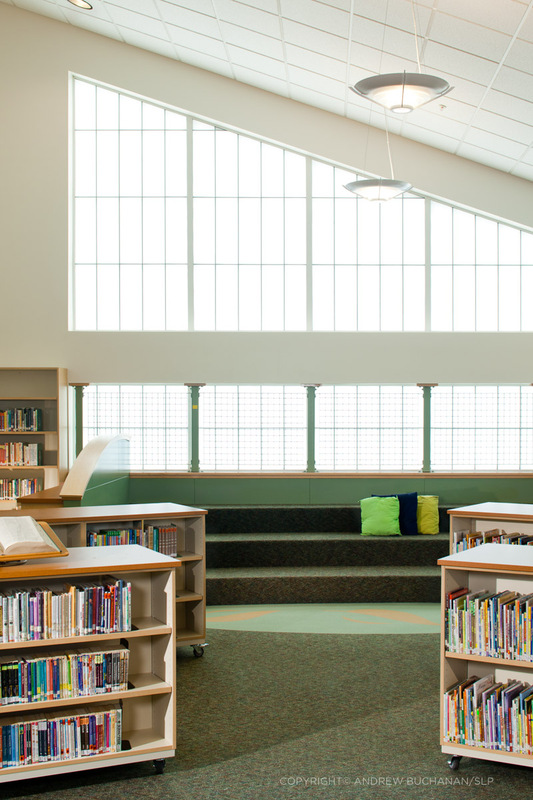 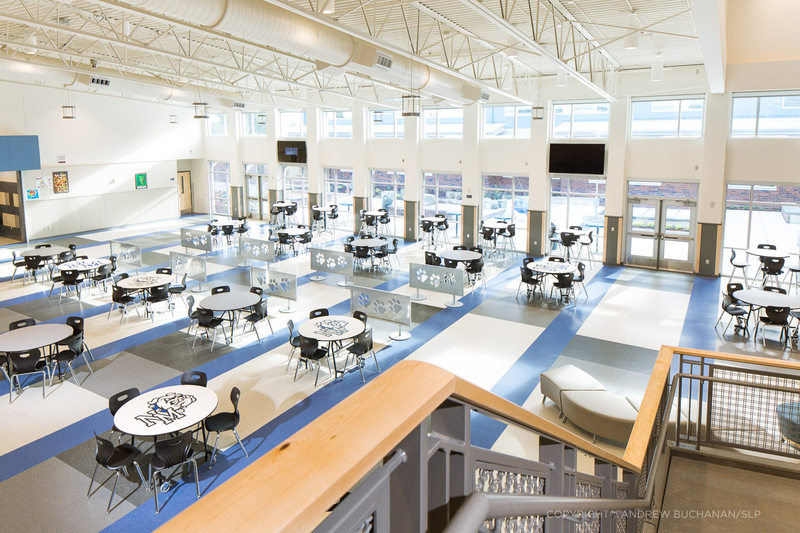 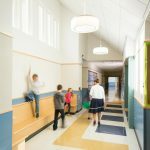 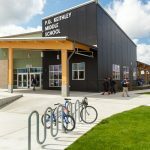 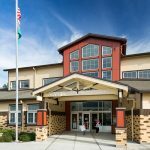 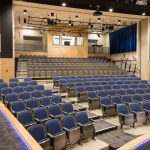 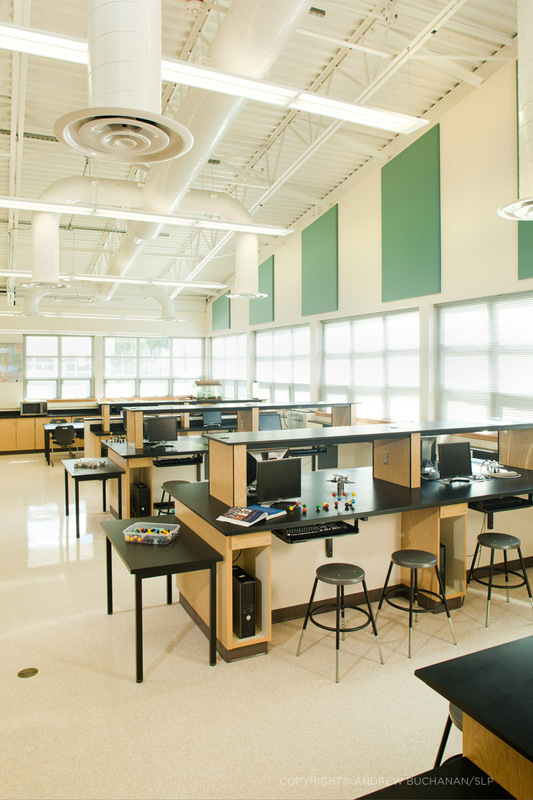 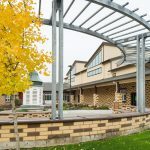 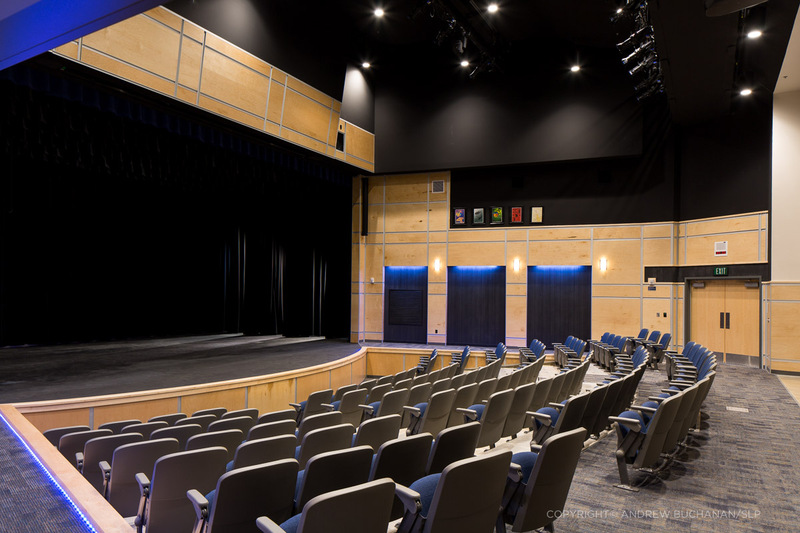 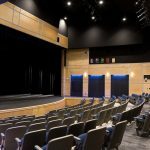 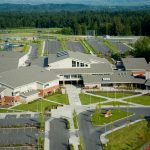 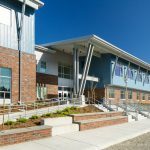 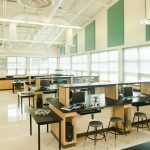 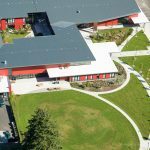 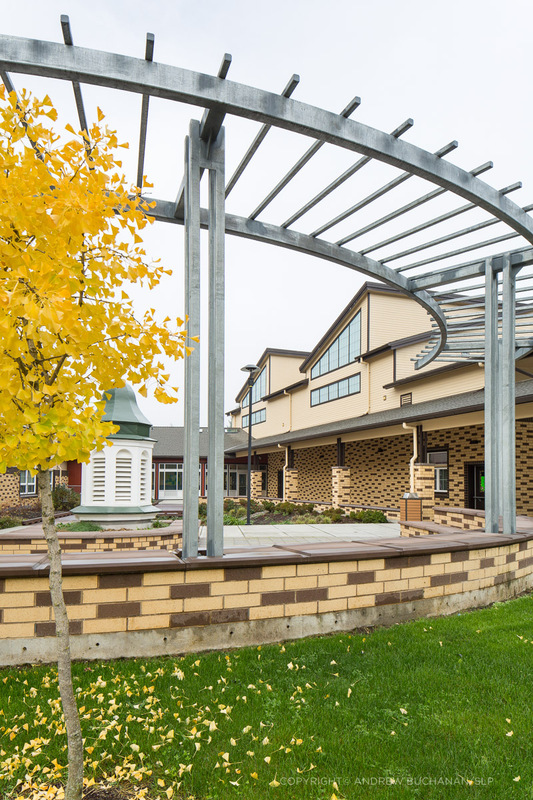 Below is a gallery of images from a variety of education projects, covering a wide range of uses from elementary schools to middle and high schools, from administration buildings to vocational schools, exterior elevation images, staged and lit interior photos, even a couple of aerials. 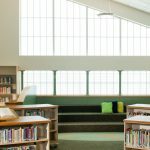 Thanks for having a look, and please be in touch with any questions about photographing schools or if you’d like to discuss a project. 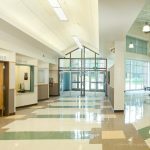 A 25-foot tall, folding glass-paneled Skyfold door is shown opening and closing in this short time-lapse video. 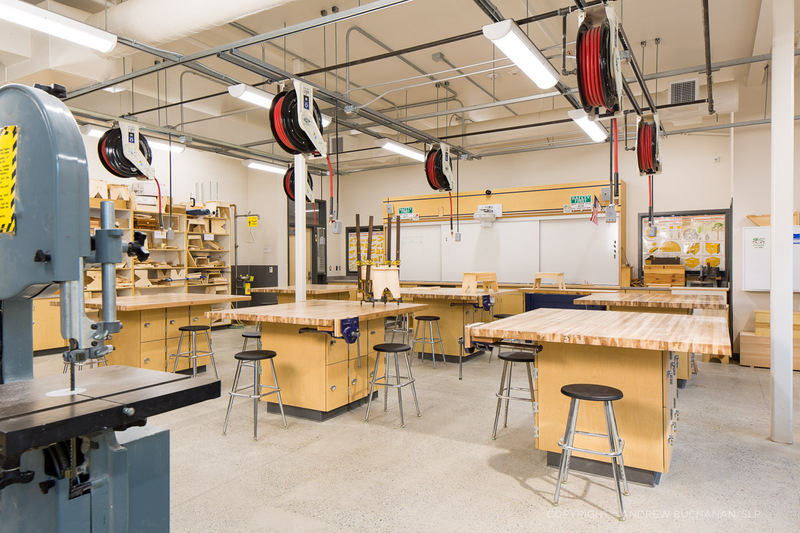 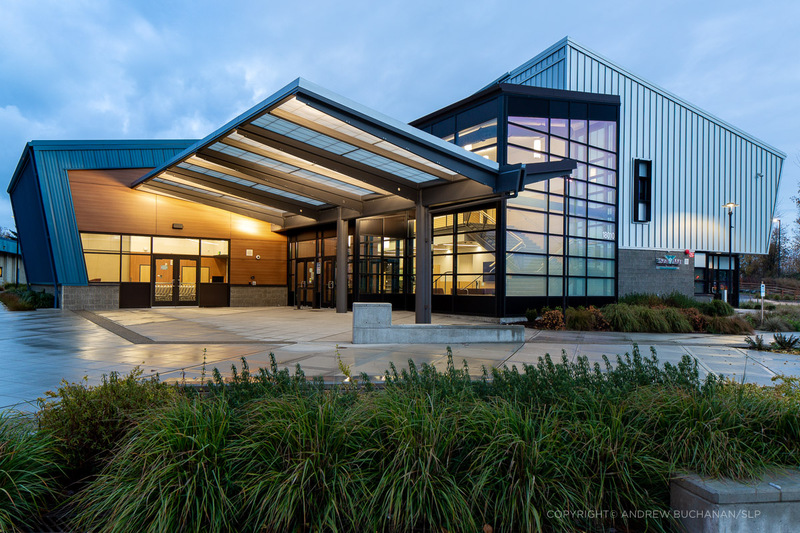 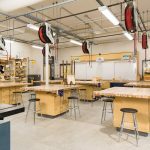 UPDATE: The photographers’ collective, Wonderful Machine, featured my photography of the Puget Sound Skills Center, a vocational school in the Highline School District in Washington, in their blog in late January, 2019.